We’ve got a new album review by Grimy Grant and this time he’s writing about the new album by the Richond based doom metal band Windhand. I know, I know, Richmond isn’t technically within the area that DCHM covers however they’re too close, and too damn good, to just skip over. If you haven’t heard Windhand before be sure to stream the songs at the bottom of this post and give them a listen as you read the following review. There is a murky world that is a little bit of our own but also belongs to some kind of secret, far-away dungeon where ghosts wail and guitars sing a sad, creeping harmony. This is what Windhand constructs in their albums with Soma being this year’s addition to the collection. A lot of the same great elements are here as in their full length from 2012. Dorthia Cottrell’s vocal work imbues each song with a haunting feel while Parker Chandler (also from Cough), Asechiah Bogdan, and Garrett Morris deliver consistent, Sabbath-y guitar licks that wash over you in waves. Meanwhile, Ryan Wolfe shudders the earth with slow, pounding beats from the drums. When I listen to their work I can almost sense the smoke and fog rising from the ground. 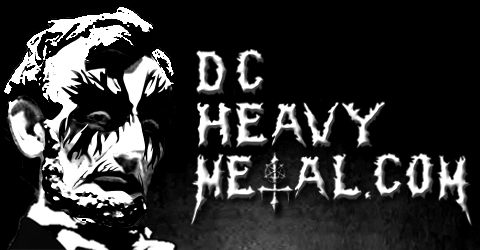 It’s everything that a doom super-group should be but in the form of a few local creatives in nearby Richmond, Virginia. 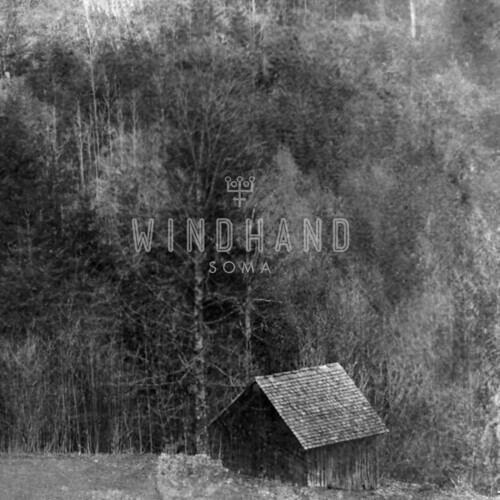 While listening to Soma I couldn’t help thinking about their 2012 album, Windhand. Both have interesting sounds that add flavor to the album. Windhand opened with summer storms rolling in the background, cicadas buzzing in the air and only a single pair of footsteps tromping through an outdoor field. It then digresses a bit by breaking away from the occult drama and even featuring some laughter and unintelligible banter from the band at the start of one track. Soma, in comparison, is far more into the natural and occult roots of the band’s material. The focus seems to be more on the music in this album and lacks the casualness found in Windhand. The band, too, seems to bring more precision to their craft, both in the mixes of the songs and the tightness of their sound. It feels like a perfect second act in their catalog. Soma lurks in the shadows and stares straight into the darkness, never once looking back and occasionally popping up briefly to rock out. There is more punch to each song than in Windhand, something that I appreciate a lot yet at the same time I strangely find myself missing some of the slower songs in their debut. “Woodbine” for example, starts off immediately in the middle of a strong, harmonizing guitar jam and chorus-like background vocals. Lyrically it’s mesmerizing – the vocals sound like a ghost drifting in and out to entice us to “Go on and love what you are”. By definition, a soma refers to all “non” parts of the body, the soul, the psyche and the mind, as well as an intoxicating drink used in Vedic rituals (Webster’s). “Woodbine” gets its name from a type of vine, also called Virginia Creeper, that blooms mostly in late summer and early fall. So there are intricate levels of metaphor, and symbolism that make “Woodbine” something I can go back to again and again. Like the layers of meaning and imagery for the song, the guitars, vocals, and percussion work together in a dark harmony. As I already mentioned, the band sounds better on Soma. Embedded in the songs is the occasionally sighing, occasionally roaring voice of Dorthia Cottrell. Cottrell really shines on this album, like in the fourth track “Evergreen”, which breaks from the electrical buzz of guitars, transitioning into an almost all-acoustic folk song. Cottrell comes into focus in the sound mix with her voice sounding clearer than on any other song on the album. The mix on “Evergreen” produces a dual vocal harmony that is a beautiful, artistic edge that I hadn’t heard from Cottrell before and shows off her range. It’s a great change in the pace of the album that seems a bit hard to swallow at first but then gradually builds back into the doom-y feel from the rest of the album. Most stoner and doom albums I listen to now have brief acoustic breaks – such as Valkyrie’s “Wolf Hollow” from their debut full-length Valkyrie. “Evergreen” goes a step further by embracing the musical form of the ballad, giving it a voice as well as pretty acoustics. I found it an interesting choice although some might think it’s too different from the rest of Soma. “Boleskine” wraps up the album with an ode to Aleister Crowley’s “Boleskine House” – a house in Scotland near Loch Ness where he wrote several books on occult rituals (a fun bit of trivia: it was also owned briefly by Jimmy Page). The song is the longest recorded by the band – going over 30 minutes and features theater-like sound effects accompanied by almost twangy, Western-ish guitar work. It’s long and seems to kind of go on without ending, though, and I didn’t like it as much as the rest of the album’s songs, but I still enjoyed how it took me to a different zone of the Windhand world. However if there’s something that I love the most about this album – and quite possibly the band – it’s the focus on nature and not just occultism. In fact, I should have put my cards on the table at the beginning of this review and mentioned that I am a huge fan of Windhand’s style of doom metal. There is something about Soma that is both mesmerizing and horribly frightening. There is something syrupy and obsidian flowing beneath the surface. It’s a great moment to see a band such as Windhand evolve their craft into something superior. Stoner and psychedelic rock seem to be reaching an apex now with so many throwback and psychedelic bands coming to the fore. Valkyrie, Doomriders, Kadavar, Uncle Acid & The Deadbeats, Bloody Hammers, Saint Vitus, to name just a few, all released albums in the 2012 or 2013. This means there are good and bad albums as each group scrambles to put their hat in the ring. Windhand is releasing Soma almost a year after their previous self-titled debut yet it seems like they’ve spent a lot of time with it. Not only are they throwing down crushing notes, they are also building into their songs so much imagery that it’s almost overwhelming. I feel like this album has all the atmosphere of a good black metal album coupled with doom metal’s slow-motion pace. At the core is what I love the most about this album and Windhand: that they really seem to give it their all, even if that means depressing or scaring the rest of us.